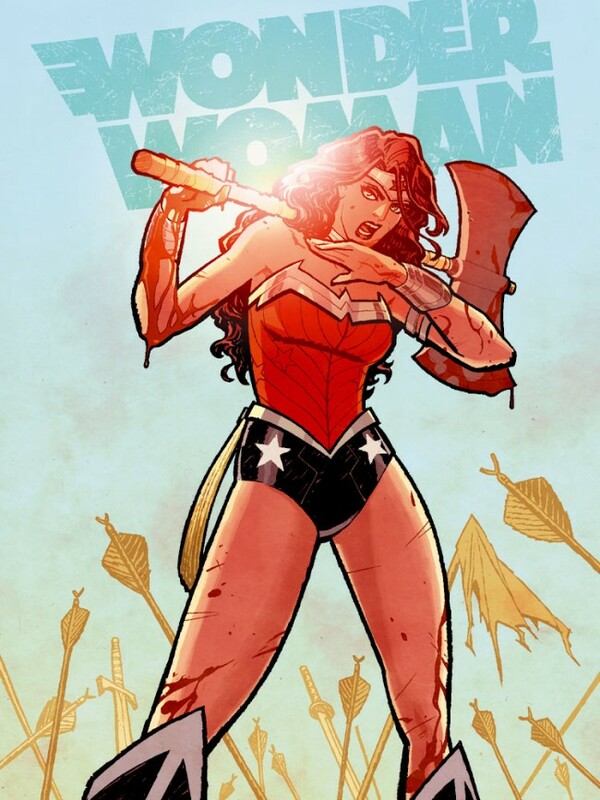 When Cliff Chiang and Brian Azzarello team on the upcoming Wonder Woman book from DC Comics, the focus of attention is going to be on what Wonder Woman is wearing or not wearing below the waistline. In the case of the latest teaser art from Chiang, the focus is going to be on the amount of blood. 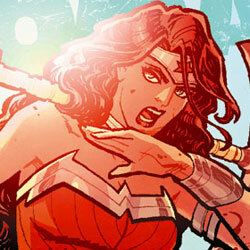 An early promo image we cooked up to visualize our take on Wonder Woman. The original version has pants!